Although I was born in Victoria, I’ve been a resident of Surrey BC since I was 2 years old and I love this city more than anyone I know. I love the parks, the people, and the food (gotta love the food). Having spent nearly 25 years here (there was a 7 year stint in Abbotsford), I’ve seen the city grow and develop so much, and I love it more and more every day. Sure we still don’t have a lot of really cool independent cafes or dessert places, but to make up for it we have the Indian Market. 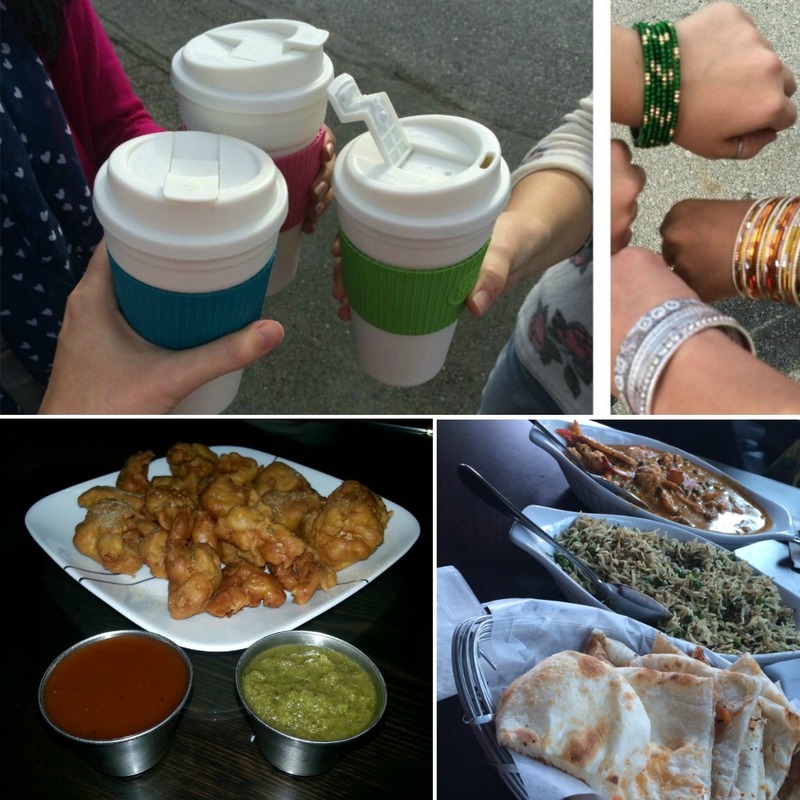 I would even venture to say that Surrey BC might have the best Indian food & shopping outside of India. Even England’s famous Soho Road, Green Street, or South Hall don’t have anything on my neighborhood (and I’ve visited all three). So, when me and my favourite foodie friends Rebecca & Emily cooked up a plan to play tourists in each other’s cities, I was quick to volunteer as the first host! I was ready to show off the true Surrey; my Surrey. 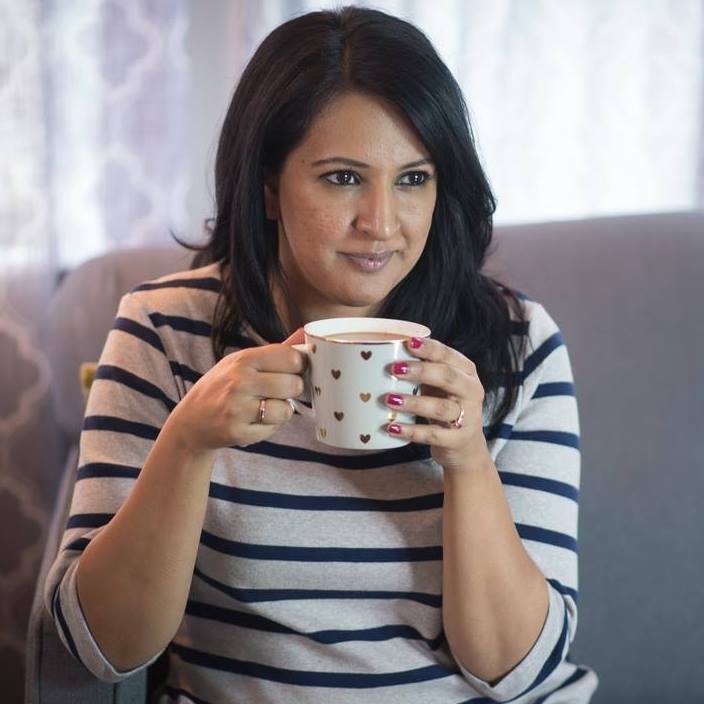 Whenever people ask me about food in Surrey, the first question is always; where do you get the best chai in Surrey? Okay, so maybe I’m a little biased, but I think the best chai in Surrey is made at the Pink Chai house! So we started our tour with chai to go (made by yours truly), and headed over to Navraj Sweets where we indulged in gobi pakoras (cauliflower pakoras). Hands down, these pakoras are one of my top 3 favourite foods in Surrey. You can not beat them. After our appetizer, and the best conversation ever, we headed over to the Prem Bangle shop. This is one of my ultimate shopping secrets in Surrey – best selection of bangles at the best prices. After we all picked out some bangles, we popped over to Kapra Mandi for Pashmina scarves. Most of the scarves you see me wear in outfit photos were purchased here for $7 each. Yup, $7. Since I was showing off my town to fellow foodies, I couldn’t skip a visit to Fruiticana. This is my go-to store for all things desi. In fact, I shop there so much that they became a social media client of mine earlier this year! 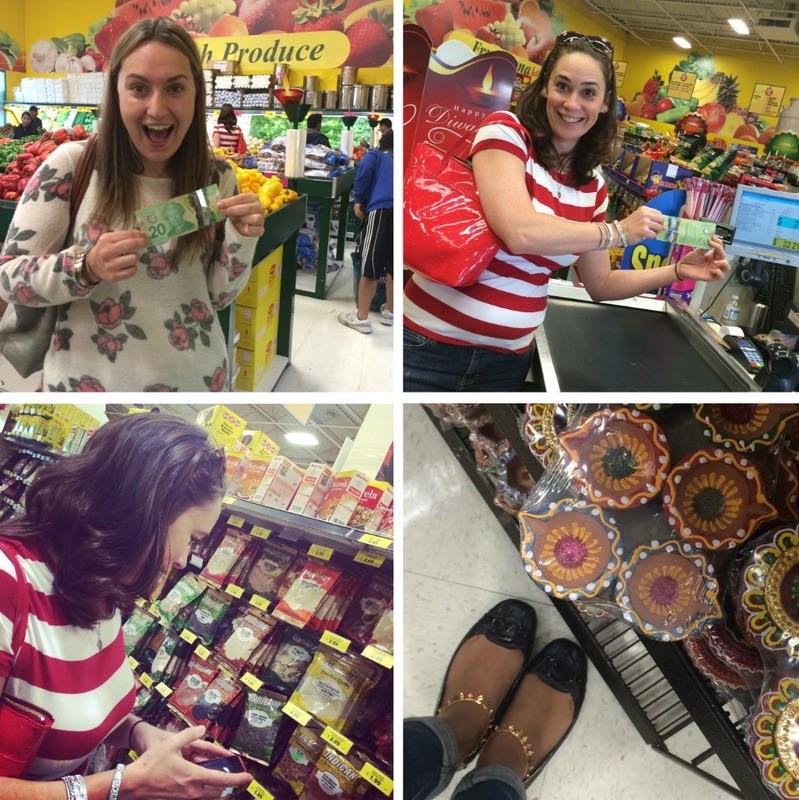 I challenged both Rebecca & Emily to spending $20 at the store and they came away with some great goodies. (In fact Rebecca made this awesome mojito that very night with some mint she picked up). Our final stop of the day was Taj Sweets and Restaurant. If you live in Surrey and haven’t visited them on a weekend, it’s a must do! As long as the weather allows they set up a tent outside their shop and make golgappas and fresh jalebis. We started with a plate of golgappas, and then had an amazing lunch (the vegetable korma was exceptional), and finished with fresh hot jalebis that we watched the ‘halwai’ make on the spot. This is an experience you’ll really only get in Surrey BC. The thing about the Surrey Indian markets is; they are crowded, people don’t always mind their manners when parking, and sometimes they are loud – but they are authentic! If you take your time and plan a free day to wander and really soak up the experience, it’s like visiting India without a visa (or a $1500 price tag for a ticket). 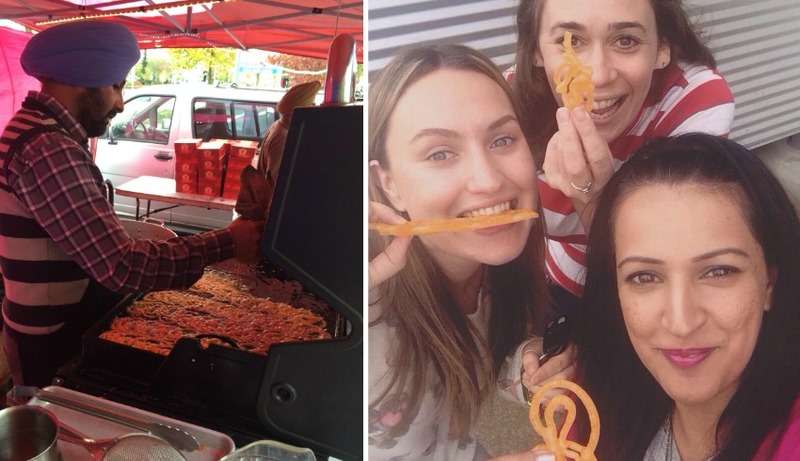 Oh and if you are going to visit, send me a message, I’ll gladly join you for lunch…or a jalebi! PS: Don’t forge to check out Rebecca and Emily’s recaps of our day too!